2015 John Deere 559 mega wide plus roll baler, 5x5 rolls, twine and net wrap. Excellent condition only 3341 rolls. Selling on consignment. 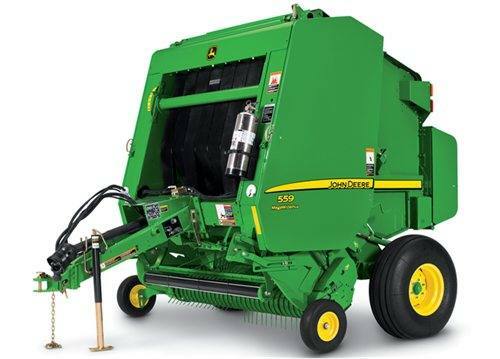 The 559 Round Baler produces bales 5-ft wide and up to 5-ft tall with a maximum dry bale weight of 1450 lb. The bale diameter can be adjusted to meet feeding and handling requirements.